Black Bear opportunity: For applications where surface glossiness is unimportant: improve mechanical properties, flex fatigue, compression set and reduce cost by taking advantage of higher loading possibilities. Due to its lower structure, BBC TR30 produces lower modulus/hardness than N550 therefore in this recipe the carbon black content was increased by 6% and the oil content was reduced by 7% in order to achieve comparable hardness. 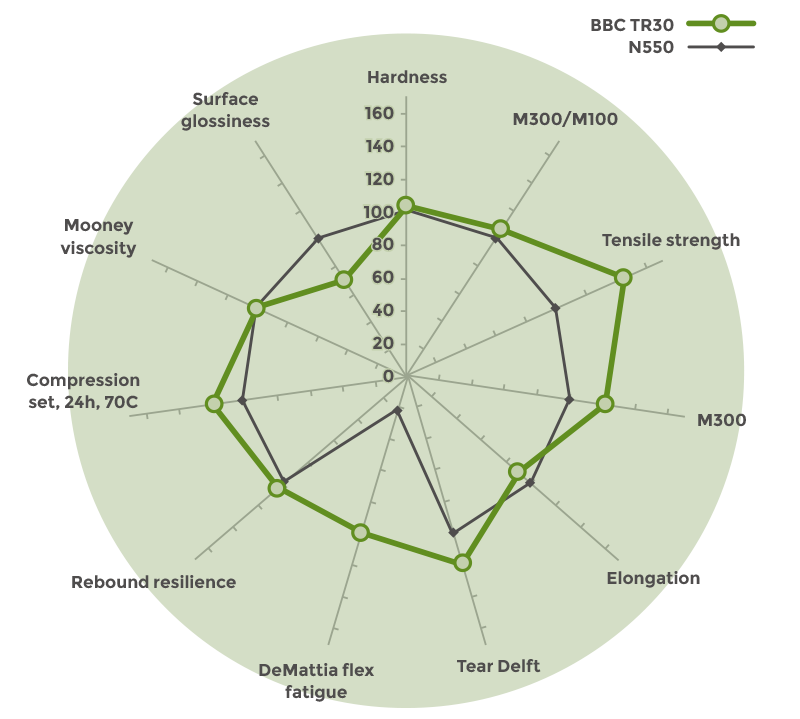 BBC TR30 imparts extrusion/rheological characteristics comparable to N330. 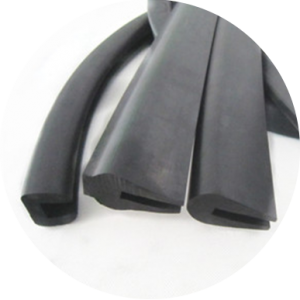 Its combined high surface area and low structure compared to N550 impact negatively on profile surface glossiness and as such BBC TR30 is only recommended for substituting N550 in EPDM extrusions where surface appearance is not critical. Surface glossiness improves a lot in highly loaded compounds (> 160 phr) due to the resulting dilution of the polymer content. With respect to dynamic application profiles – it is well known that flex-fatigue is negatively influenced by the presence of grit (oversize particles) that is often present in (un-milled) furnace carbon black grades. As Black Bear mills all of its products to very fine particle size distributions (e.g. BBC TR30(S) milled to D99 < 3µ; D50 < 600nm), there are no oversized particles present – so it’s completely grit free. The spider graph on the right compares N550 and BBC TR30 in a generic 65 ShA EPDM extrusion recipe.